Moon jellyfish (Aurelia aurita) rhopalium. This jellyfish, also known as the common jellyfish, is found in coastal waters throughout the world. 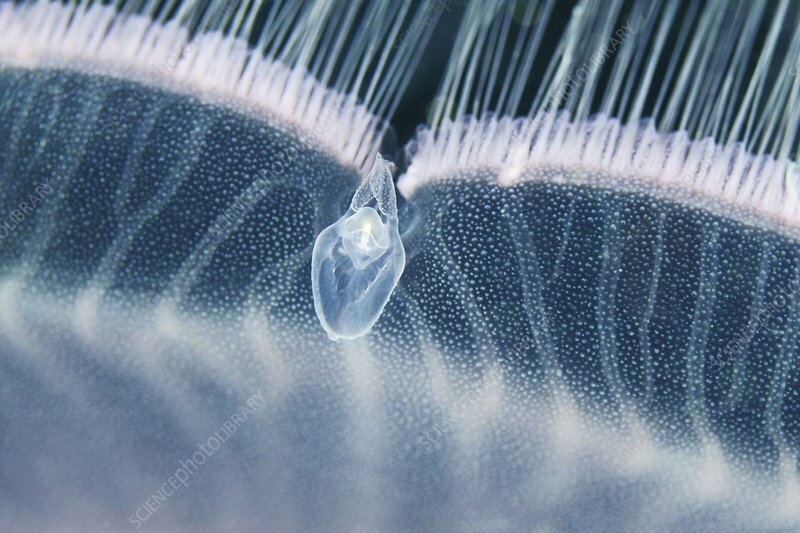 Rhopalium is a sensory organ found around the margin of the bell of the jellyfish body. The rhopalium contains structures to sense light and gravity. Photographed in the White Sea, Russia.